Sheridan Dental offers the latest and greatest in gum-related smile adjustments. Are you upset by the way your gums are affecting your smile? Too much visible gum tissue or uneven gums can hide your beautiful, natural enamel. Your gum tissue frames and supports the teeth. When gums are misaligned, it can not only detract from your smile, but possibly even cause teeth to shift out of place. If you are self-conscious about the look of your gums, Dr. Raymond Sheridan offers a gum recontouring procedure that can restore balance to your smile and showcase your teeth in a more attractive way. Just a small adjustment to your gum tissue can create a big smile improvement. For a complete smile makeover, Dr. Sheridan often recommends combining gum recontouring with other cosmetic dentistry treatments, such as porcelain veneers or teeth whitening. This leaves our patients with a much more pleasant final appearance. Gum recontouring, also called a gingivectomy, is perfect for patients who need slight to moderate gum reshaping. Dr. Sheridan uses a laser to gently remove unwanted tissue. The procedure is very precise and creates symmetry throughout the gumline. 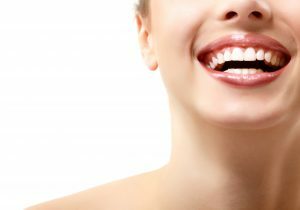 Laser tissue recontouring is an improved method of trimming the gums that is vastly superior to the manual excision of the past. After treatment, no sutures are necessary. Healing time varies, but it typically takes a few weeks. The procedure very rarely needs repeating. Dr. Sheridan will discuss all benefits and risks with you during your free gum recontouring consultation. Gum recontouring is not recommended for patients whose gums are red or swollen due to gingivitis or periodontal disease. Isn’t it exciting to know you may actually have a very dynamic and stunning smile hiding beneath your uneven gums? Contact Sheridan Dental in Grove City to set up your no-charge gum reshaping consultation. Dr. Sheridan and his friendly team look forward to helping you achieve a smile you can be proud to show off.